Same on the outside. Different inside. 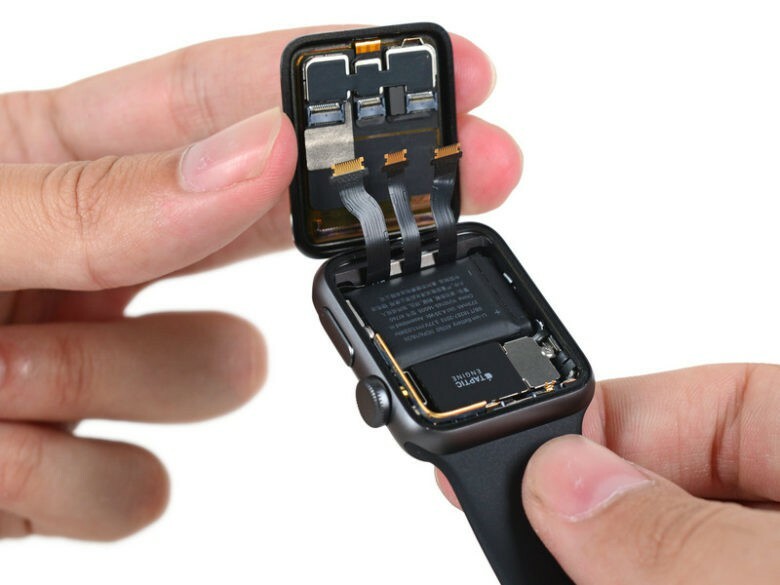 The new Apple Watch Series 2 is more repairable than Apple’s original wearable, according to the first teardown to pry open the new device. Apple Watch Series 2 looks exactly the same as its predecessor on the outside. On the inside it’s an entirely different story, as Apple’s engineers have refined the internals and made it a bit easier to work with. Some of the biggest changes include the new S2 chip, which has been completely flipped in the assembly. iFixit’s teardown revealed that replacing some components will still require mirco-soldering, but you won’t have to take all the parts out first anymore. 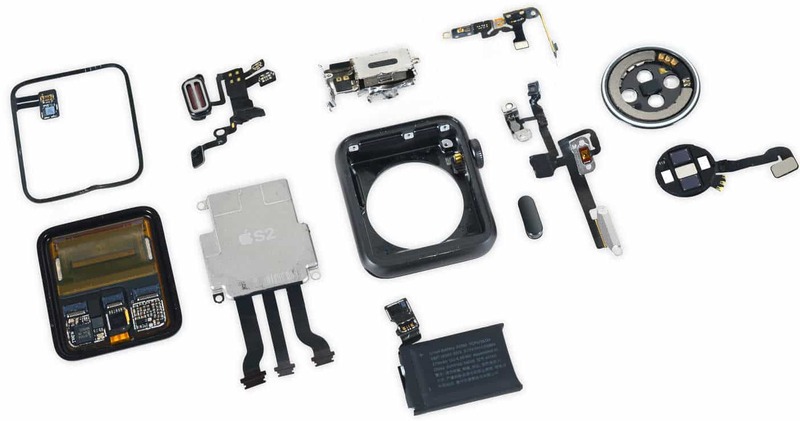 Here are the parts that make Apple Watch tick. Apple Watch Series 2 hit stores around the world today. Some pre-order delivery times have already slipped due to the high demand for Apple’s new wearable that packs GPS, better fitness features, waterproofing and more. On the waterproofing front, the Apple Series 2 boasts a strong adhesive, lots of gaskets and o-rings, plus a water ejecting speaker. The first generation model was already water-friendly. Now the wearable is ready for some serious swimming. The battery on the Series 2 is 32 percent more powerful than the previous model. The Taptic Engine is noticeably larger as well. iFixit gave the device a 6 out of 10 repairability score. Not great. But its one point better than the first Apple Watch.